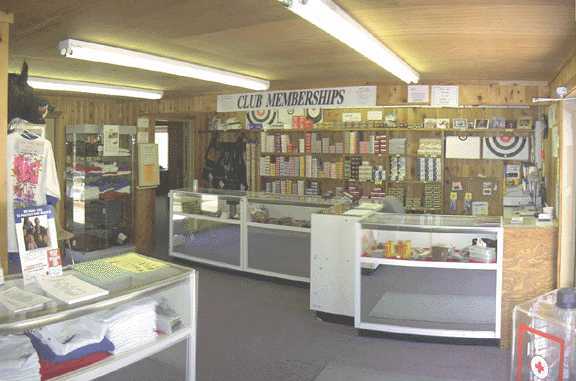 Located in the center of the range offering a wide variety of name brand products for the novice as well as the competition sportsmen. Targets, rifle/pistol ammunition, shotgun ammo, safety equipment, cleaning supplies and reloading supplies are available at competitive prices. Shooting vests, jackets and bags from the top manufacturers. Ask about custom molded ear protection.